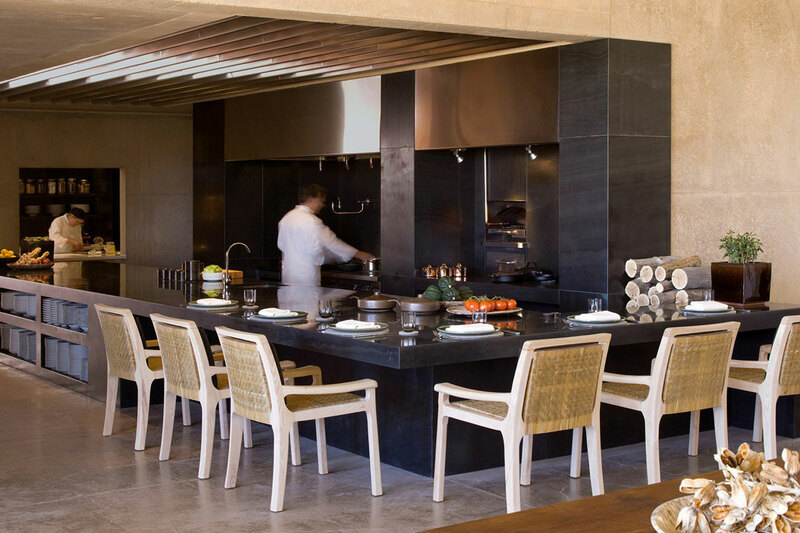 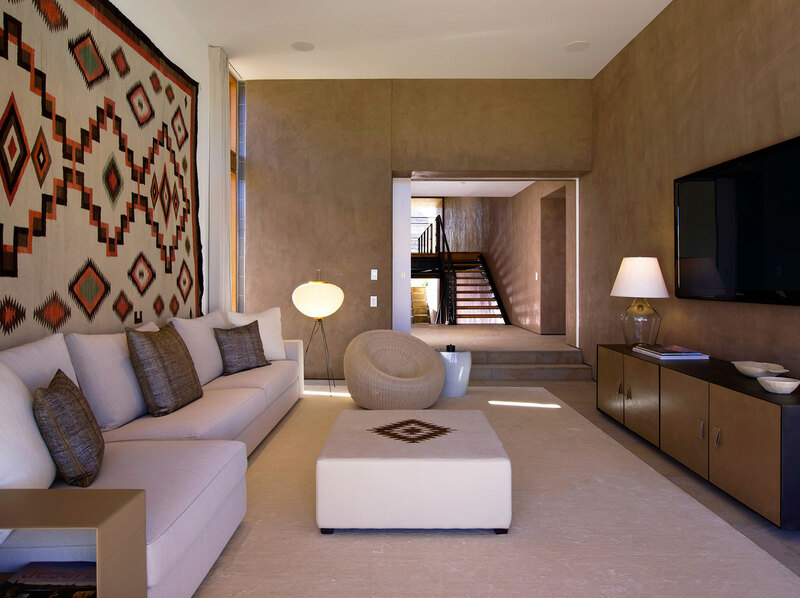 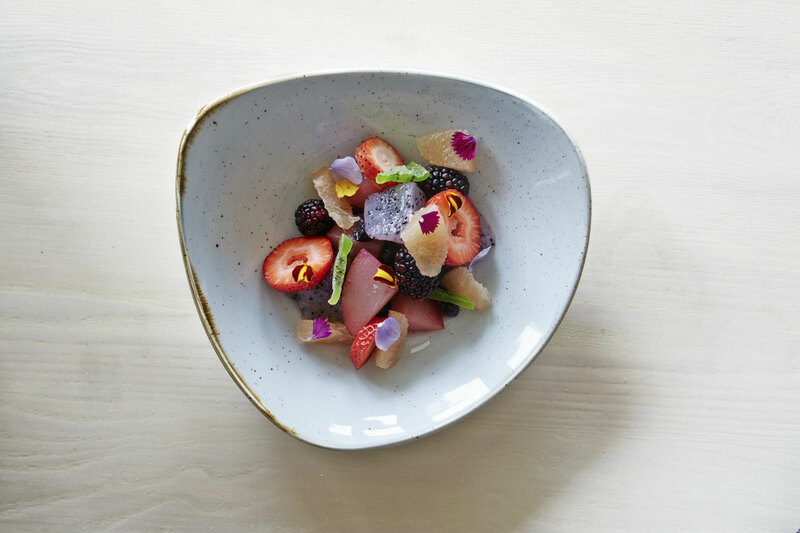 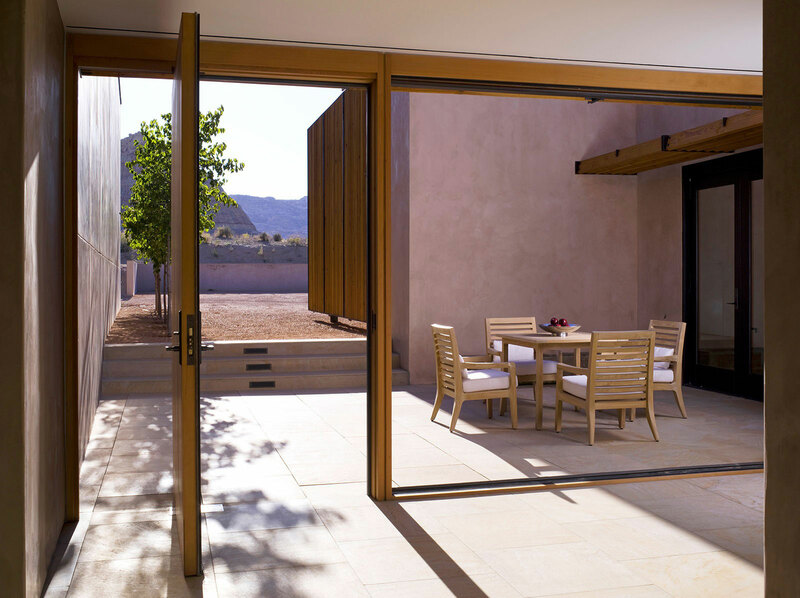 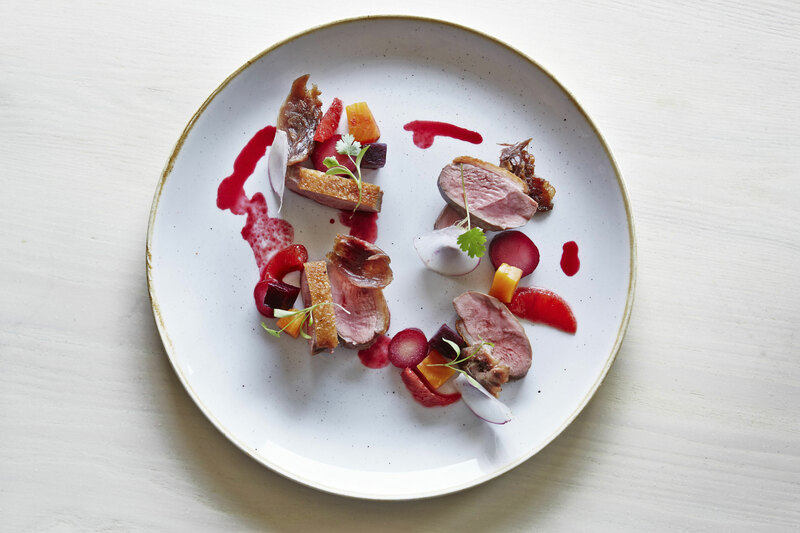 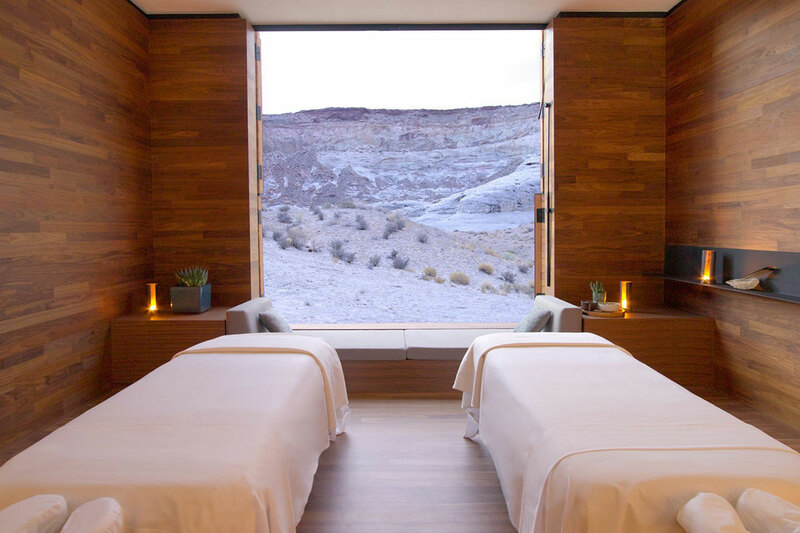 Located in the Four Corners region — where Utah, Colorado, New Mexico and Arizona meet — this mountain retreat is a stunner, and a destination in itself. 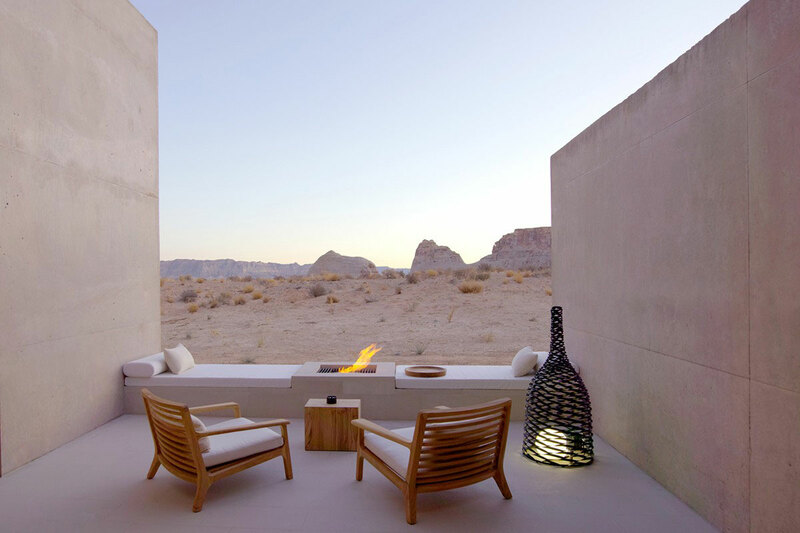 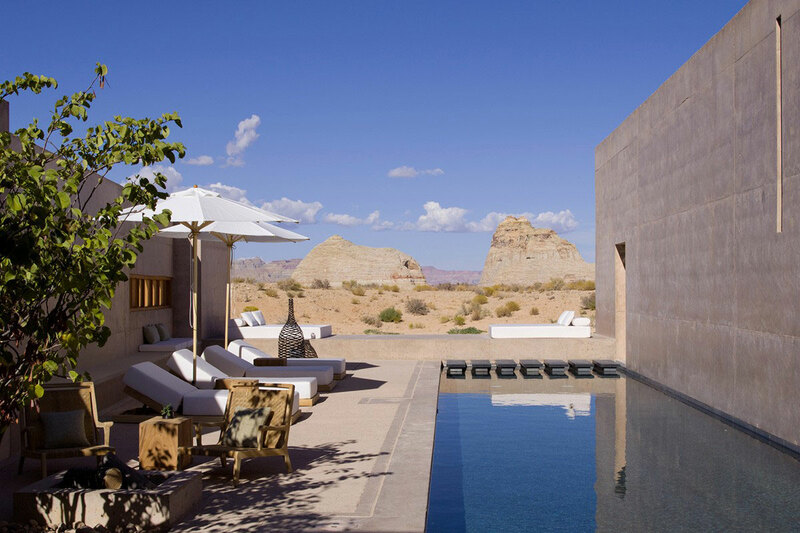 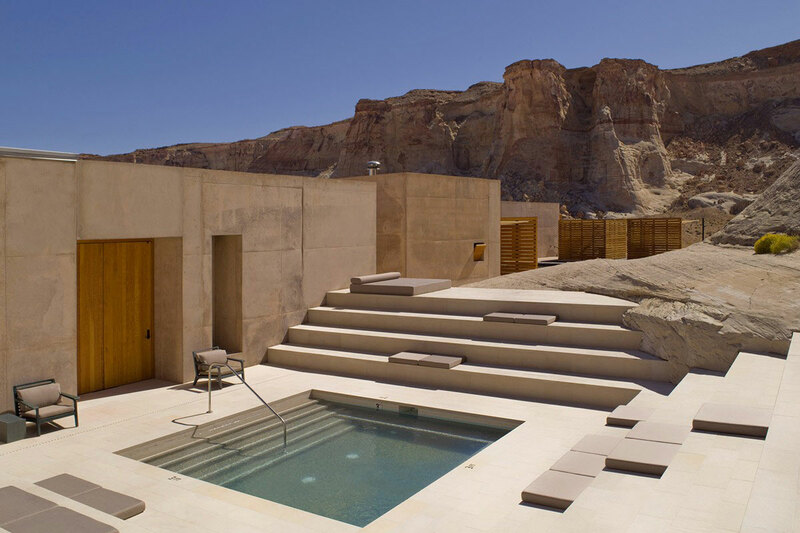 Amangiri nestles alongside a huge sandstone escarpment. 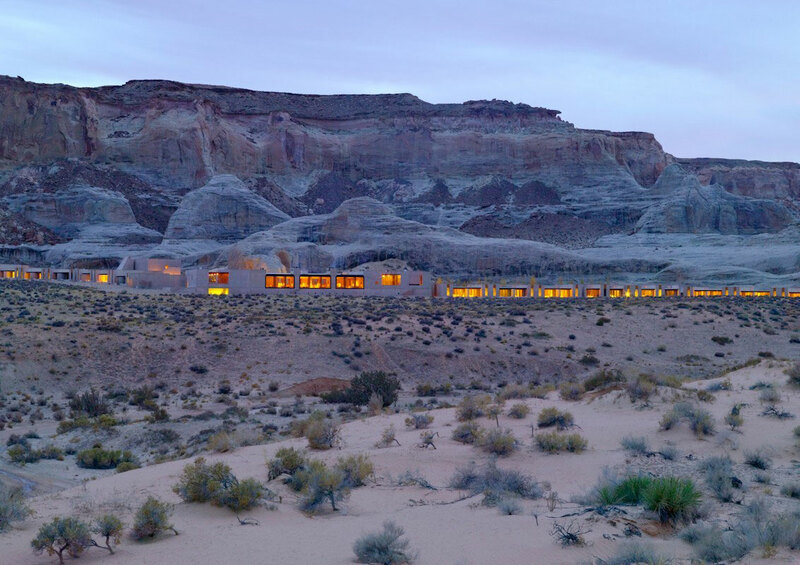 The architecture does not impose itself on the landscape. 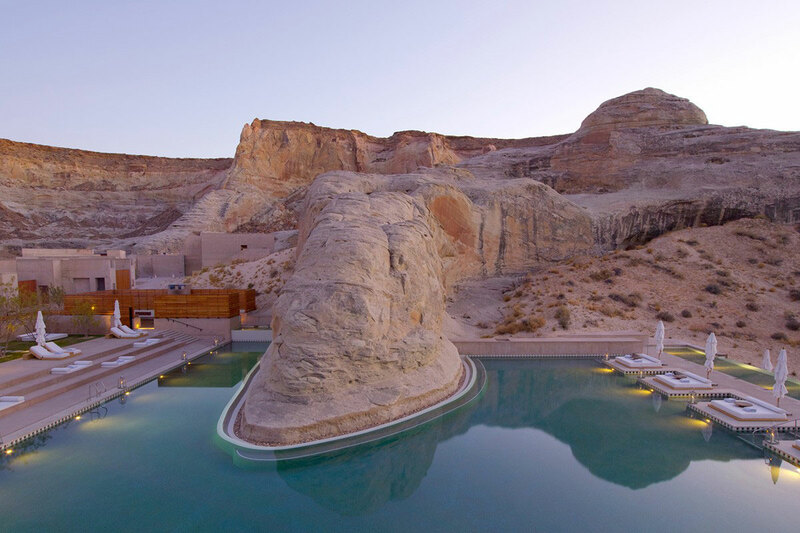 The only unnatural note in this desert setting is the sharply contrasting blue of the swimming pool. 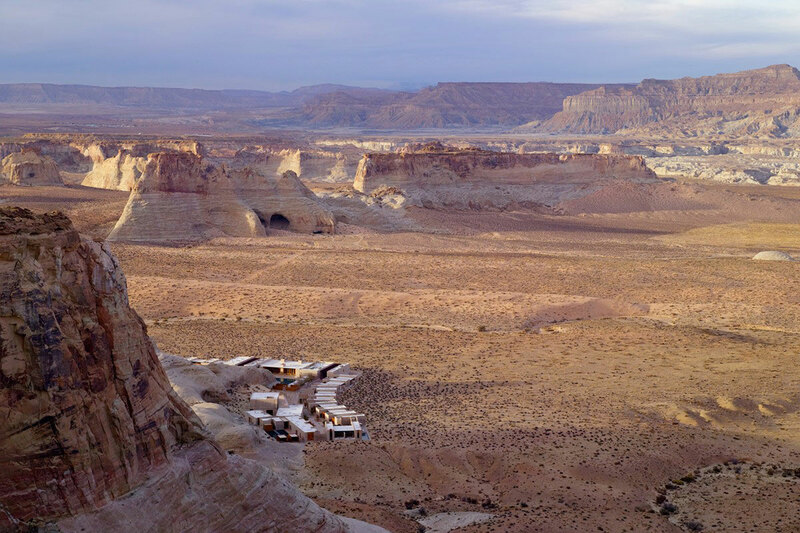 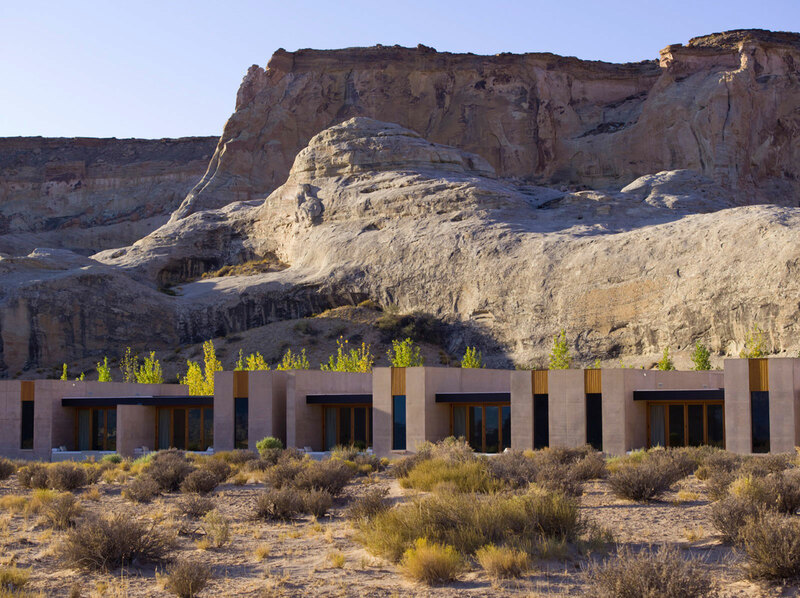 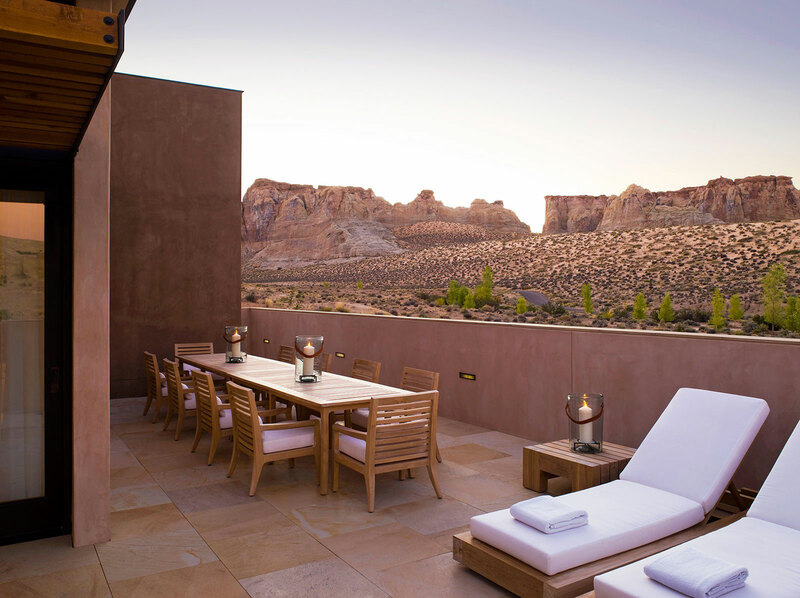 Out of respect for the rugged Utah terrain and its typical Entrada sandstone, the hotel was designed as a massive block that seems to have emerged from the earth through natural erosion by the elements. 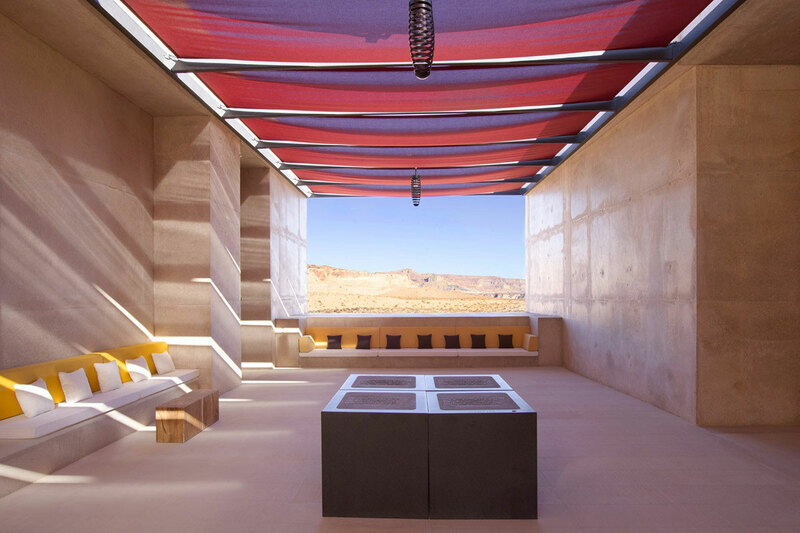 The three architects used a mixture of local sand and cement to closely match the colour and density of the surrounding geological formations. 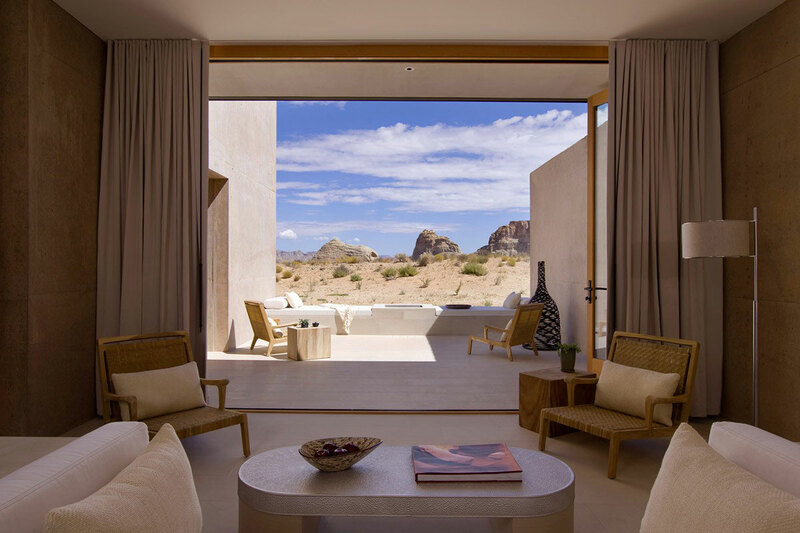 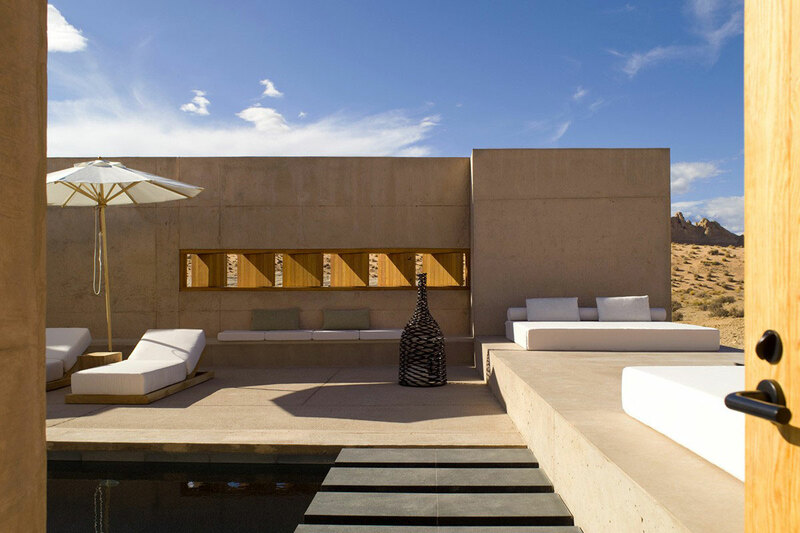 The angular minimalism of the building’s design is enhanced by an equally jagged play of light, from the fine sunrays sketching patterns on the sand-coloured walls, to the views through glassless windows that give the impression that the landscape is a painting. 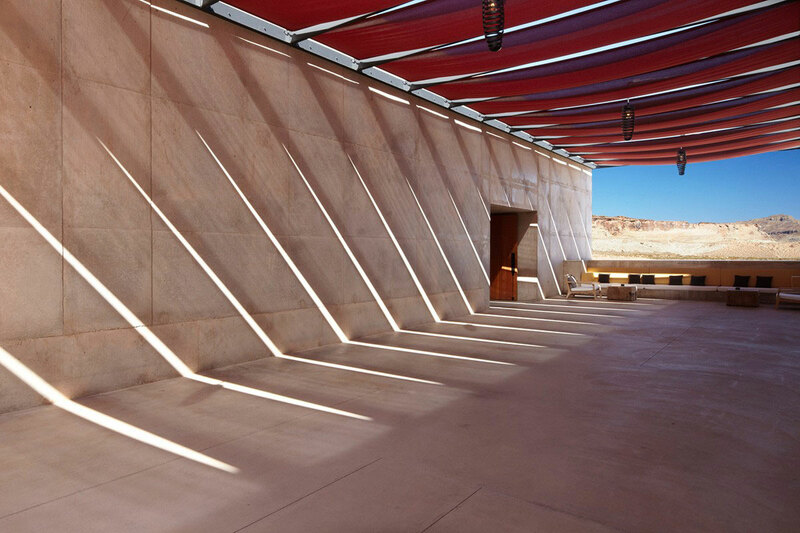 The architecture grabs the extreme environment, together with the light, and pulls them inside.